The Chamber is open! The Old Senate Chamber in the Maryland State House has opened its doors to visitors once again after completing a multi-year, state-of-the-art restoration. The extensive project returned the room as accurately as possible to its 18th-century appearance. Exhaustive physical investigation and meticulous research, combined with fieldwork throughout the City of Annapolis, ensured the authenticity of the richly-ornamented architectural detailing and the furnishings as they would have appeared on December 23, 1783. 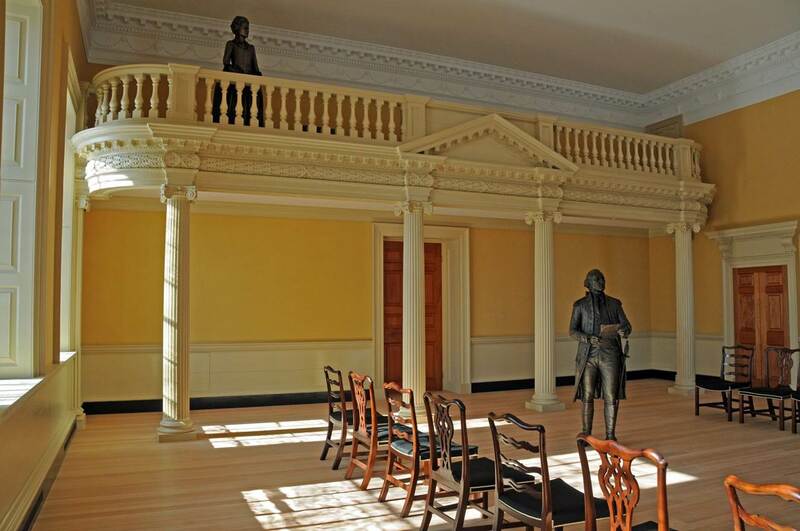 The Old Senate Chamber as it would have appeared on December 23, 1783 during the resignation ceremony of General George Washington. The gallery has been recreated based on historic photographs, physical evidence, and documentary records.